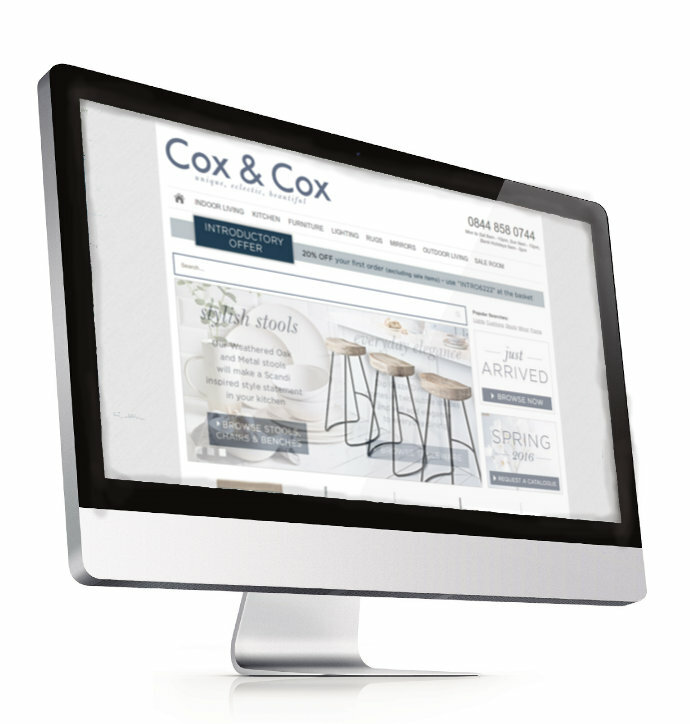 Cox and Cox are an established interiors & homewares brand looking for a step change in the ecommerce performance and marketing. Using data from Google Analytics we conducted a site audit identifying ‘conversion blockers’ that were preventing sales. We looked at their Google Analytics setup, benchmarked them against their competitors and reviewed how well their site stacked up against ecommerce best practices. Following the initial review we worked with their developers to set up split tests for a number of areas on the site. These included the checkout, catalogue and email signup, as well as promotional messaging on the product page. We also found a number of areas where we could improve their data collection through Analytics. This included installing Google Tag Manager and updating their event tracking and goal reporting. Our successful split test of the checkout added a step change to online revenues. Our form redesign split tests improved catalogue sign-ups by 6.5%. We have continued working with Cox and Cox. Our regular ‘digital transformation’ mentoring ensures that C&C stay ahead of their competition.